Over £100,000 Lost To Phishers! Over the last couple of years, United Kingdom University students have been conned over £100,000 by Student Loan Company scammers. Nearly 72 students were victims of phishing and had their funds taken from them between the start of the 2015 academic year and December 2017. Typically, people become victims of phishing when they open official looking e-mails containing malicious links. Once the individual clicks on the malicious link, it results in personal and financial information being compromised. Phishing is not only happening through e-mail, scammers are utilizing social channels to “friend” victims and create fake events. To attend the “fake event”, the user must fill out a registration form which results in the individual handing over their personal information. 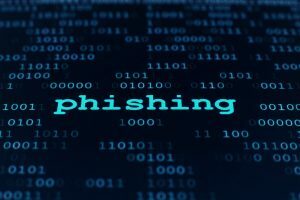 Freedom of Information (FOI) released in April 2017 that 72% of Universities (both staff and students) had become victims of phishing attacks in the last year. The Student Loan Company’s Counter Fraud Services (CFS) department has prevented 463 attempted scams which would have resulted in losses totaling £785,718. Due to the increase of phishing over the years, it is important to become educated on how to prevent phishing from happening to you and your company. Contact DIS to learn about how we can educate you on securing your private information. Regularly Updating Your Computer To Eliminate Vulnerabilities!